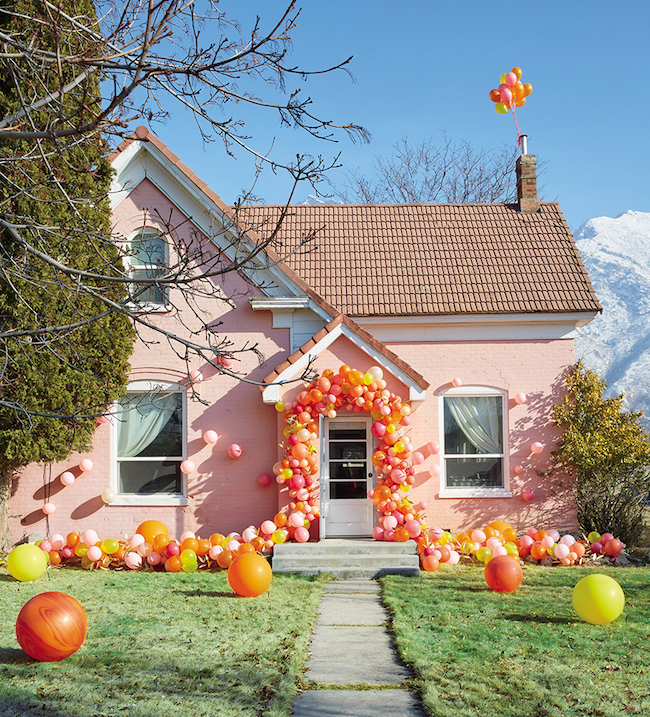 This second part of the series Inspiring Creativity takes you behind-the-scenes to see the process of how a creativity team makes magic come alive in their inspiring decorations, photographs, and space transformations. While imagination is the spark that begins an idea, a table setting, or a large-scale backdrop, good old-fashioned hard work transforms an idea into creative reality. Along the way, revisions, re-dos, and improvisations bring an evolving creation to its finished state. Creativity can be nurtured, and seeing how creative minds develop their visions is a primary factor in developing your own blossoming creative thoughts. Soak it all in, mull it over, examine each step, to help yourself become the creative person who enjoys the process as much as the end result. Creativity is the act of turning new and imaginative ideas into reality. If you have ideas but don't act on them, you are imaginative but not creative. Brittany Watson Jepson is the creative director and designer of The House Lars Built. 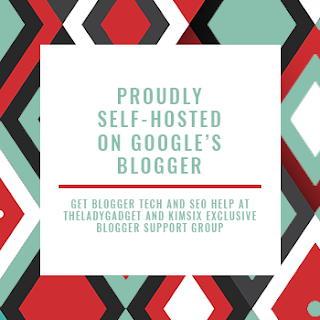 She creates and blogs from her home in Provo, Utah, and also has an impressive background in former creative jobs including with Tiffany and Co. She was inspired by her mother who nurtured her creativity. Her mom's favorite quote was "a creative mess is better than tidy idleness." Brittany has expanded her one-person operation to a team of creative souls who collaborate to create a range of beautiful projects. Together they inspire the world to live with color! 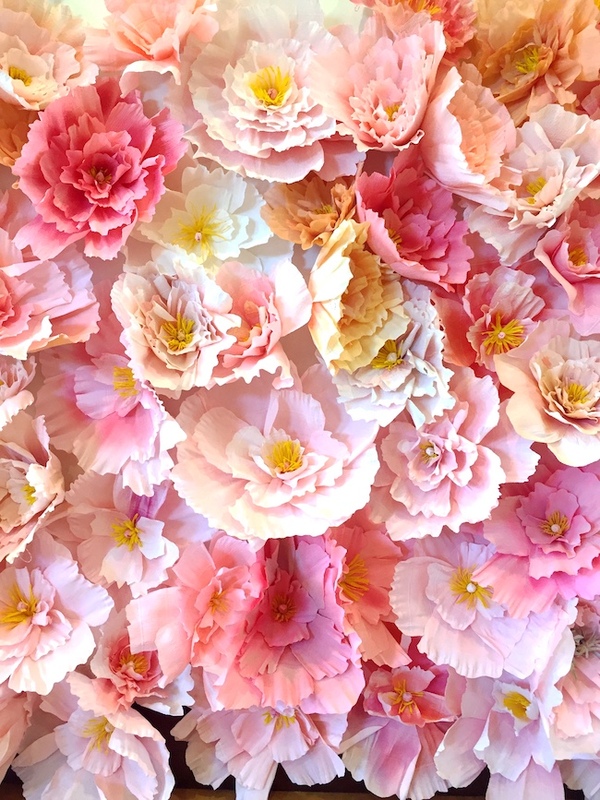 Meet the team who designed and made a Crepe Paper Peony Wall as a photo booth for two fashion influencers who threw a party to celebrate recent releases in their companies. You can see all The House Lars Built team members' joyous faces in a photo on the blog post. 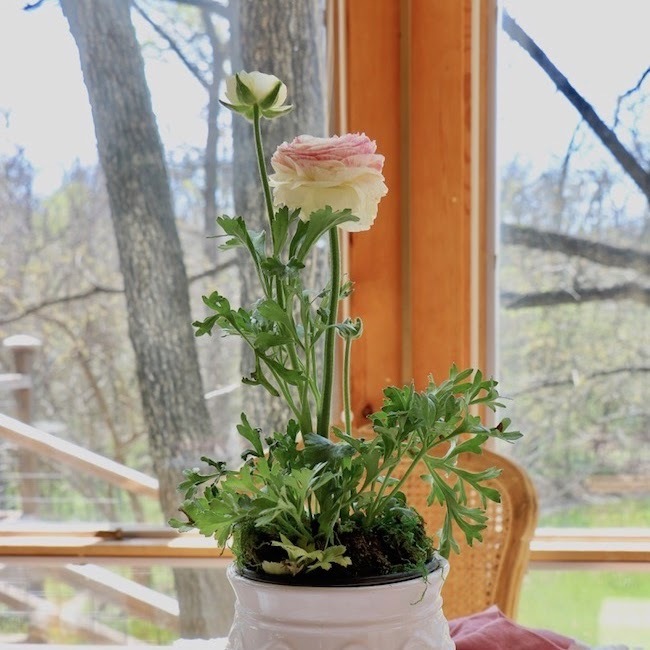 If you have an upcoming special event, a wedding, or want to create a fantasy wall in your home, you can find a materials list and directions on how to recreate the peonies for the Paper Peony Wall. Be forewarned . . . it will take hard work and hours and hours. You may want to invite your friends to help. But the end result is magical! Speaking of friends, Birthday Bucket List is a great idea for celebrating your own birthday by adding your friends' favorite movies, books, flowers, restaurants, etc... to your bucket list of things to try all during the next year. Even better, create a Birthday Bucket List of your favorite things to give to a friend, and share the things on the list with your friend for the next year to help celebrate her birthday. 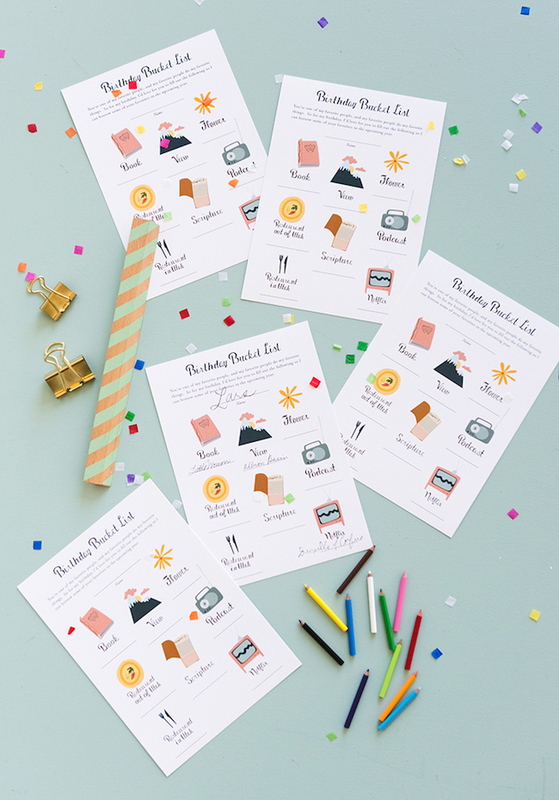 See the post to choose from two free printable templates to complete your Birthday Bucket List. You can lend her your favorite book, lend your favorite movie, cut your favorite flowers from your garden, etc . . . instead of buying those things as gifts. Saves you money, and gives your friend a chance to experience them without having to store them. Of course, if she ends up loving some of the things, she can always buy them for her own collections. The real present is spending time with one another. 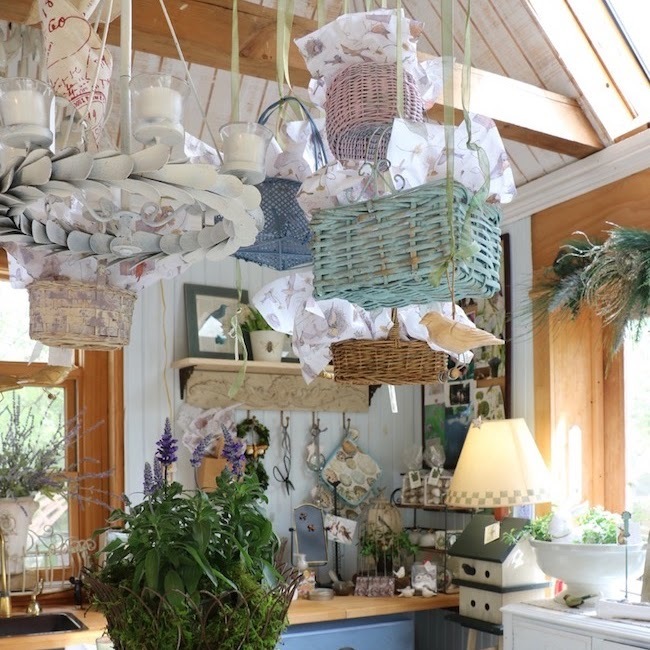 My home is a French-inspired home and garden, and I am always looking for new French inspiration. 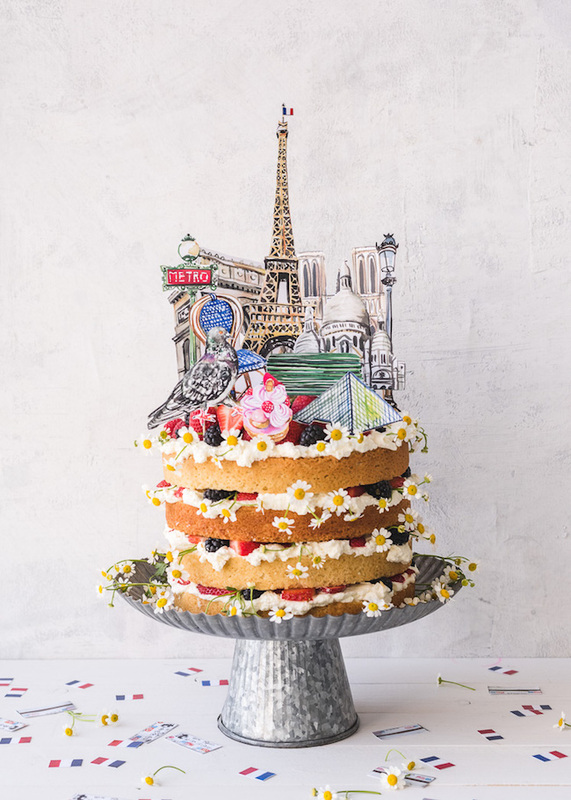 The Paris naked cake caught my fancy at first glance. How fun is that cake and table! 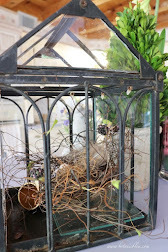 A little galvanized farmhouse mixed with Paris? Oui! Not your usual Christmas decoration, but spectacular, is a swan made from modified papier mâché and white crepe paper. 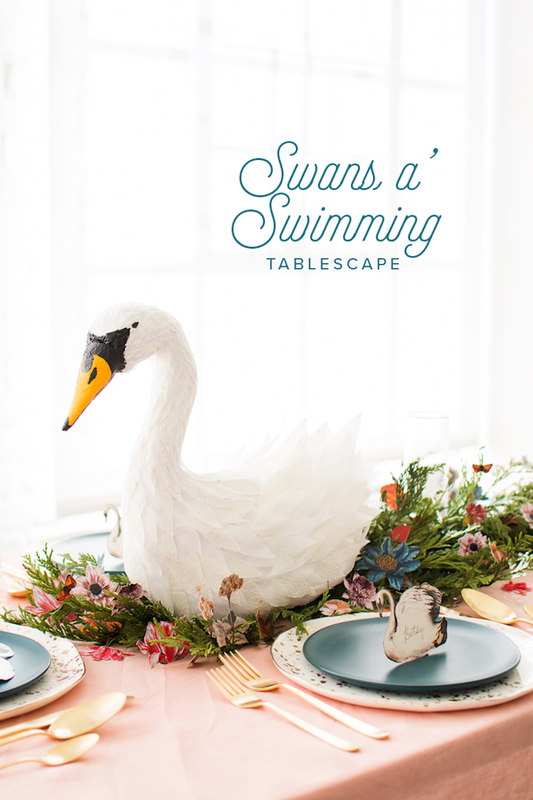 Detailed step-by-step instructions with photos show how to make the creative swan centerpiece for a Christmas table. Free printable templates, materials list, and instructions are included so you can make a show-stopping Christmas tablescape. Read the entire post Craft Rainbow Book Art Sneak Peeks to see detailed behind-the-scenes for how some of the forty projects in Brittany's new book were created and photographed. The details show the nitty-gritty hard work of creating magic including photoshopping out Brittany's husband on the housetop after attaching the balloons to the chimney. "I'm actively looking for ways to be creative. 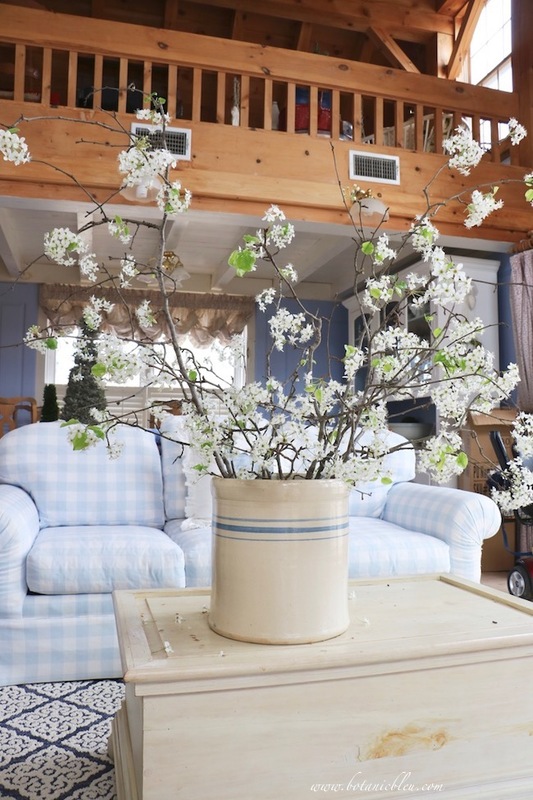 When I come across a project, I'm thinking what I like about something or what I would have done differently. By evaluating projects it allows me to activate my creative juices and inspires me to create my own project." 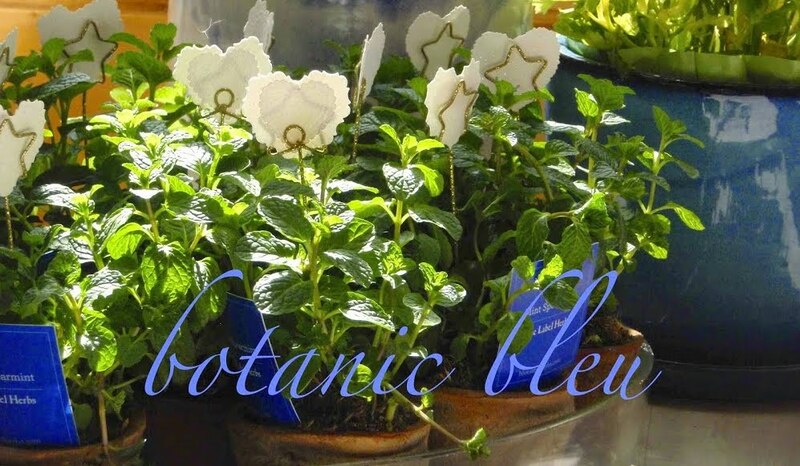 Creativity can be nurtured! Evaluating other people's projects helps you develop your OWN creativity. Straight from the mouth of an outstanding creative person . . . 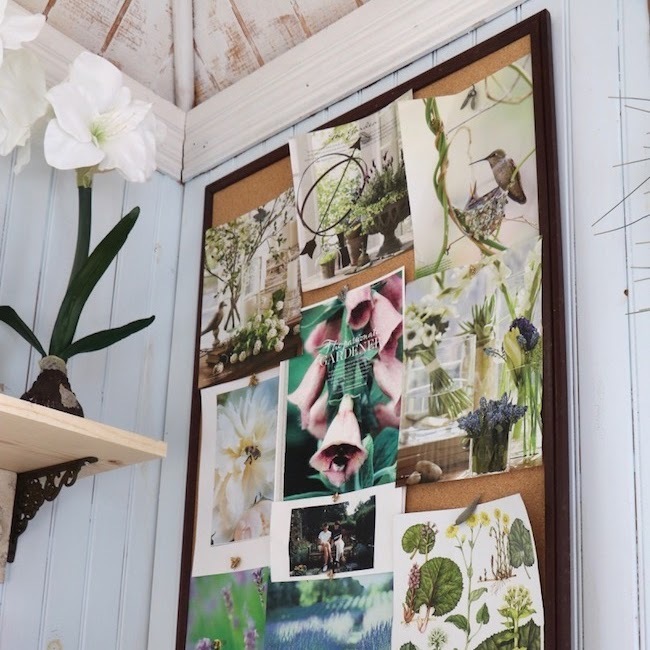 Please hop over to The House Lars Built to PIN any of the photos in this post and to read the entire posts about the projects shown. Leave Brittany and her team a comment to encourage them to continue inspiring the rest of us with their creativity. 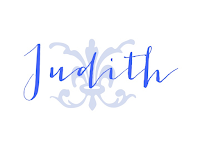 See my Pinterest boards, Art~Drawing~Watercolor and Design Ideas for collections of creative ideas. 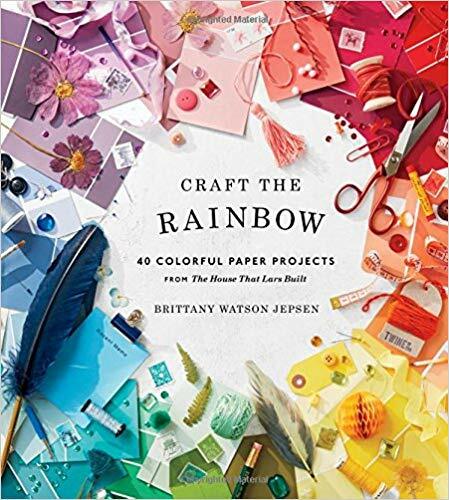 For forty projects with detailed instructions on how to make them, buy Brittany's new book, Craft The Rainbow, just released in May 2018. There is a link at The House Lars Built website. Enjoying the process of creating projects makes them worth doing as much as seeing the finished project. Joy comes from the journey, not just from reaching the destination. 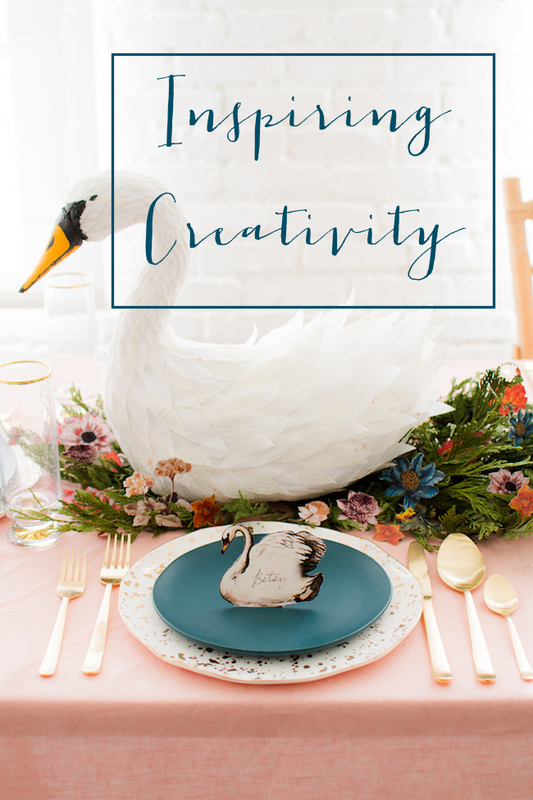 If you missed the first post in the Inspiring Creativity series, you can find it here. 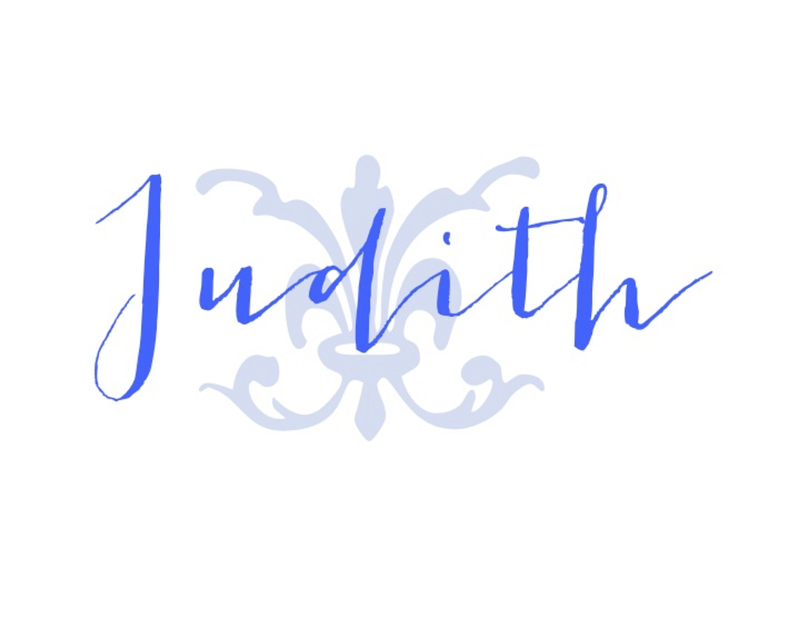 You may also enjoy reading about some of my projects.